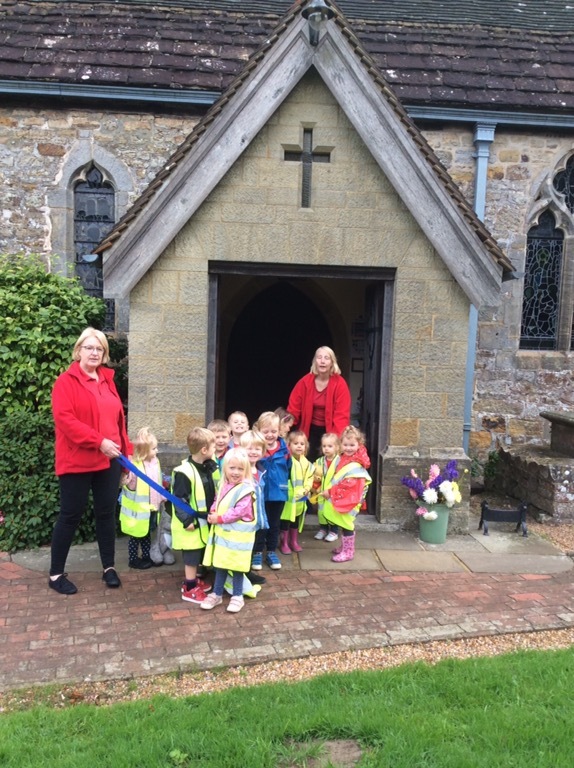 This morning we all walked down to St Margaret’s to talk about Harvest Festival. 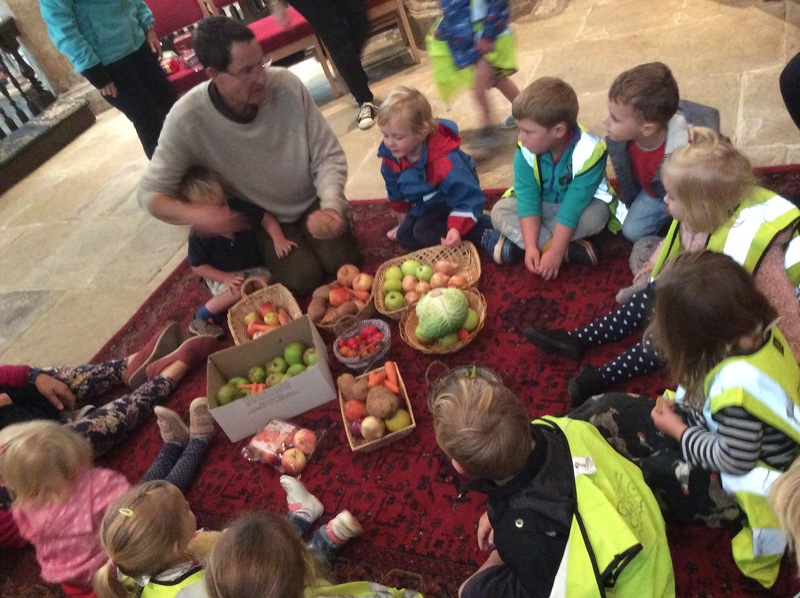 We met Derek and Bev at the church and we talked about how we celebrate Harvest Festival. We went around the church gathering food items in baskets, singing songs and how the food at the church goes to people who really need it. 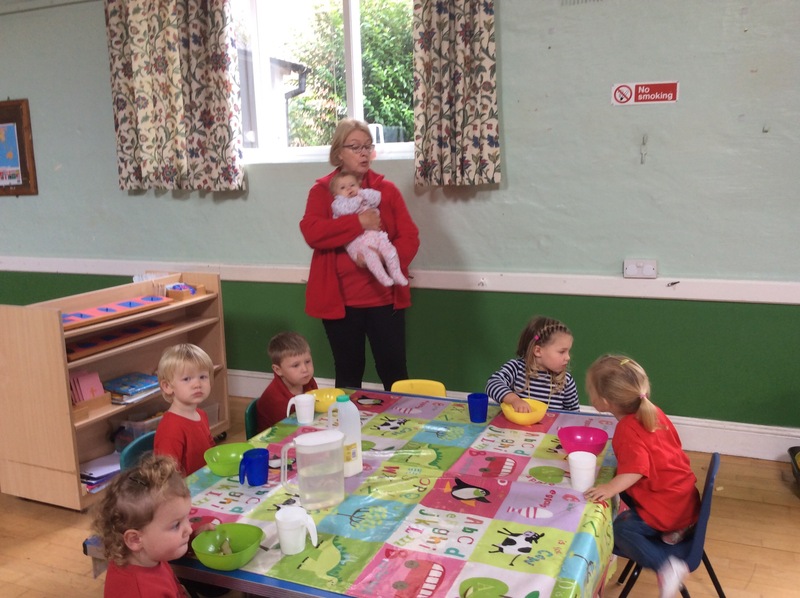 After visiting the church Sophie (previous preschool supervisor) Amelia and baby Rosie came back to preschool with us. 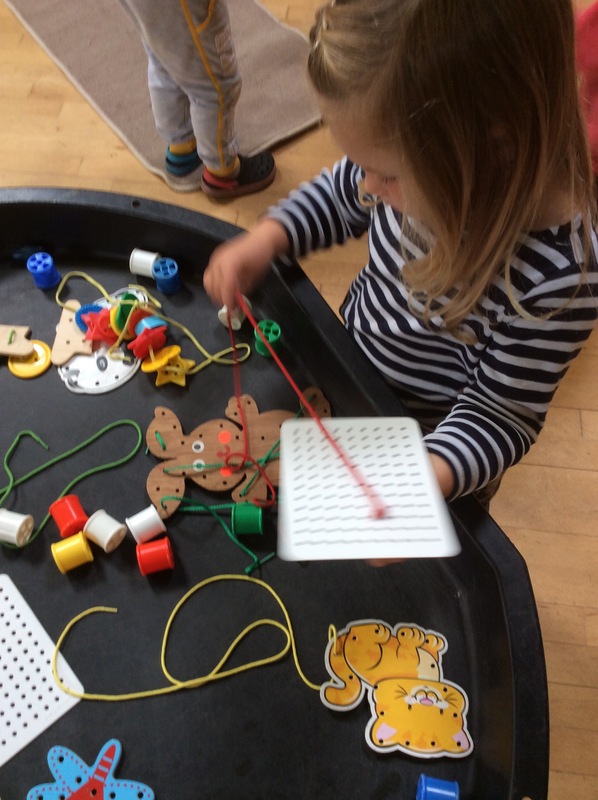 Back at preschool we had the threading table out and lots of children enjoyed threading the different shapes. 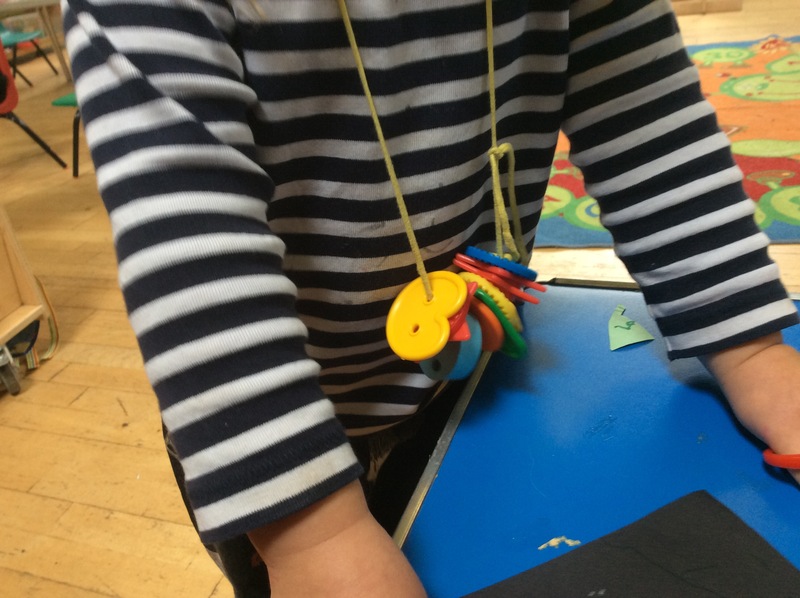 This is a fine motor activity to develop dexterity, which will later help with pencil exercises. Jane read Elmer by David McKee, a book about being different and all being the same. We celebrated Joshua’s 4th day by singing him Happy Birthday.